Although the mountain volcano Maunakea last erupted around 4000 years ago, it is still hot today, the center of a burning controversy over whether its summit should be used for astronomical observatories or preserved as a cultural landscape sacred to the Hawaiian people. For five years Na Maka o ka `Aina captured on video the seasonal moods of Maunakea’s unique 14,000-foot summit environment, the richly varied ecosystems that extend from sea level to alpine zone, the legends and stories that reveal the mountain’s geologic and cultural history, and the political turbulence surrounding the efforts to protect the most significant temple in the islands, the mountain itself. 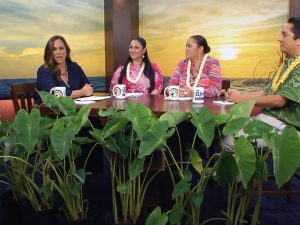 Featuring Aka Mahi, Pualani Kanahele, Kealoha Pisciotta, Paul Neves, Manu Meyer, Keawe Vredenburg, Sam Gon III, Julie Leialoha, Kahu o Terangi, Kapono Souza, Clarence Kukauakahi Ching, Debbie Ward and Nelson Ho. Arizona segment features Ola Cassadore Davis and Mike Davis of the Apache Survival Coalition. Thank you for doing this video it is a well worth watching and has deepen my understanding further. I am sharing this with my family. Mahalo Mahalo..
Everyone should be sharing this video with their family and abroad..
Great film! Explains the issue really well. I cried watching this. It was a truly wonderful and awakening experience. Mahalo!